TruckSlide: Pull and extend the slide to easily access materials without climbing into the bed of your truck. Survey Tray: Organize your instruments and equipment with a Survey Tray mounted to the TruckSlide. After placing your order, please supply us with your Vehicle Specifications to verify all options and sizing. The Highway Products Truckslide™ XT-2000 is built Work Truck Tough. It's no fun crawling into the back of your pickup truck or reaching over the side especially if you have a truck canopy or tonneau cover limiting your bed access. It's not even that whatever you're handling is heavy, it's bending into an awkward position your body wasn't made for and the inconvenience of crawling into your bed to get it. With the Truckslide™ XT-2000, everything easily rolls out to where it can be reached. 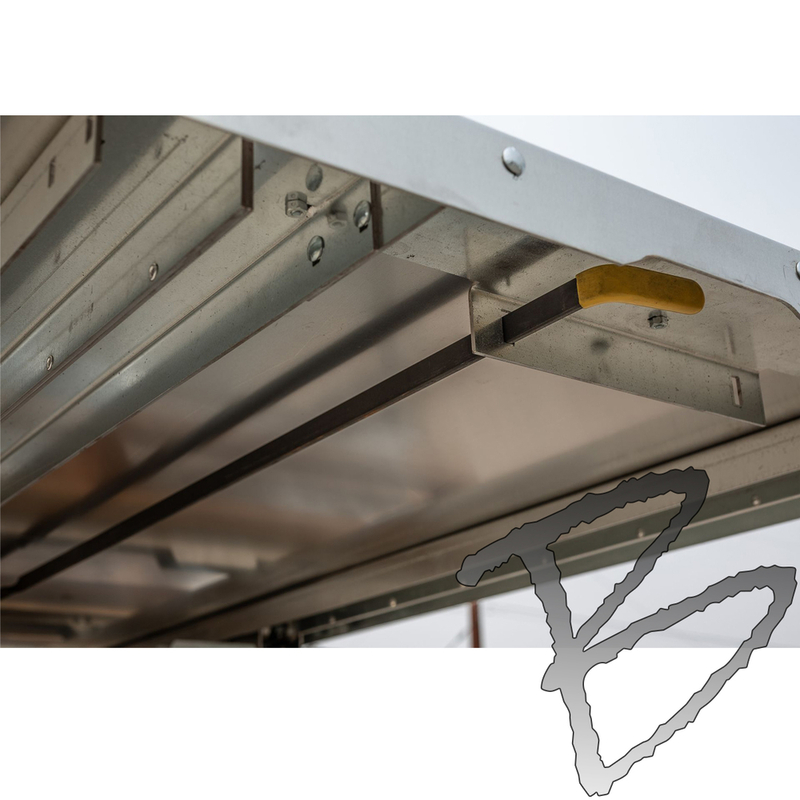 The Truckslide™ XT-2000 works great in pickup trucks, from half-tons to heavy duty models, to vans, service bodies, and even fifth-wheel trailers. Stay organized, work efficiently and save your back. 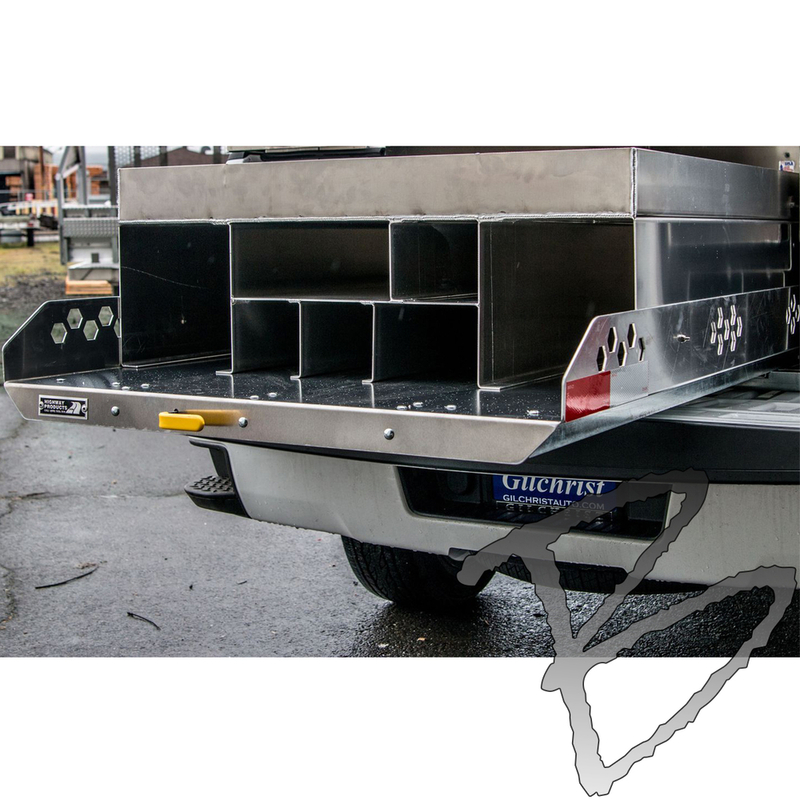 The XT-2000 is available in 5.5-foot Short Short Bed, 6.5-foot Short Bed and 8-foot Long Bed standard lengths and has been tested to handle up to 2,000 pounds of loaded slide weight. 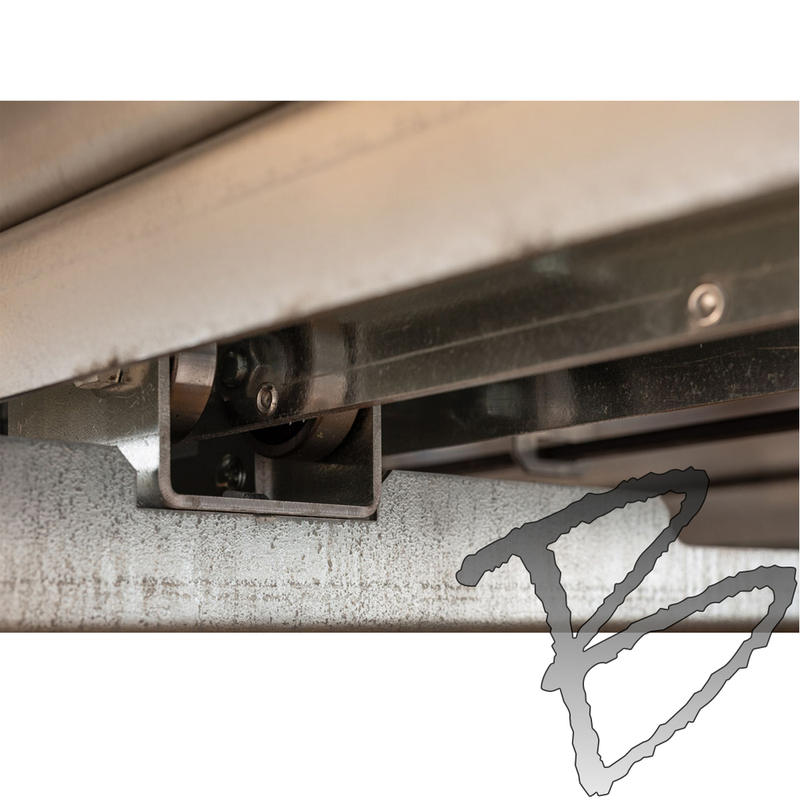 The galvanized steel rails with sealed 2-inch wheel bearings provide rugged durability, and HPI designed plunger rods that slam shut every 10 inches to secure heavy loads if the pull handle isn't activated. All HPI products come standard with options and features that you would normally pay extra for. Please explore all of our standard and optional features and call us with any questions you may have! 2,000 lbs. payload. Built to last forever and offers a higher payload than most work trucks. Don't be held back by your bed slide. Intentionally overbuilt by using dual 2" stainless steel sealed bearings. 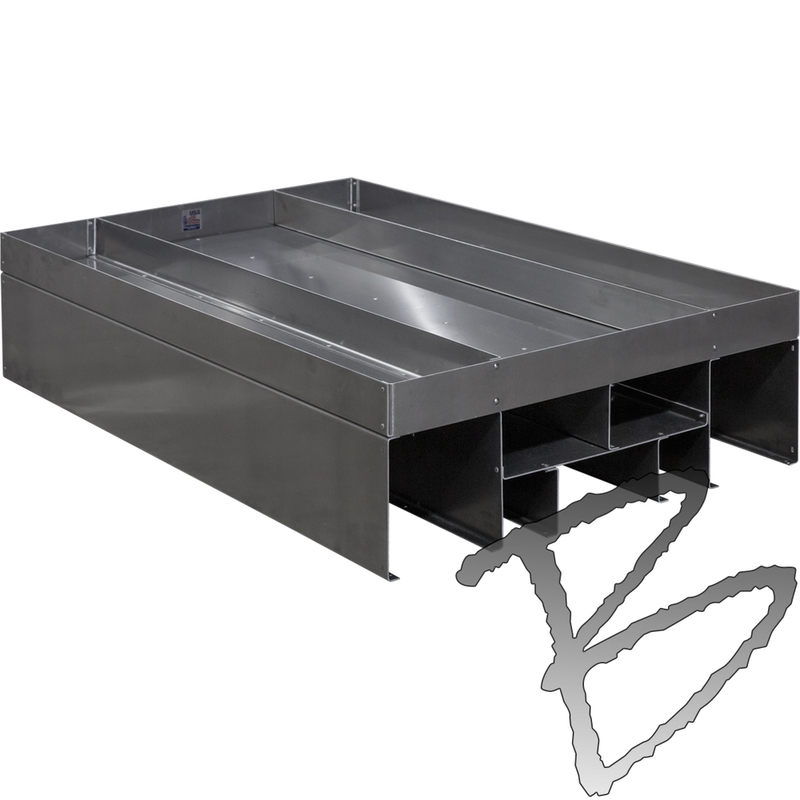 Hot-rolled steel, the best material HPI can offer. The XT-2000 doesn't use cheap components like chains that loosen up or break over time. HPI's spring-loaded rocker slams two opposing steel plungers into locked checkpoints every 10". Never lose control of heavy loads, even when parked on a hill. 1/8" thick aluminum with up to 40 honeycomb punches offering endless tie down points to secure all of your equipment. Organize your instruments and equipment with a survey Tray mounted to the Truckslide. The HPI difference is in the materials we use, the attention to all details and ultimately products we produce and proudly guarantee. HPI's promise is to take the best care of your product while manufacturing it, and continue to care for a lifetime after you receive it. Lifetime Warranty: All of HPI's products come with a Lifetime Warranty against defects in manufacturing (failed welds, etc.). 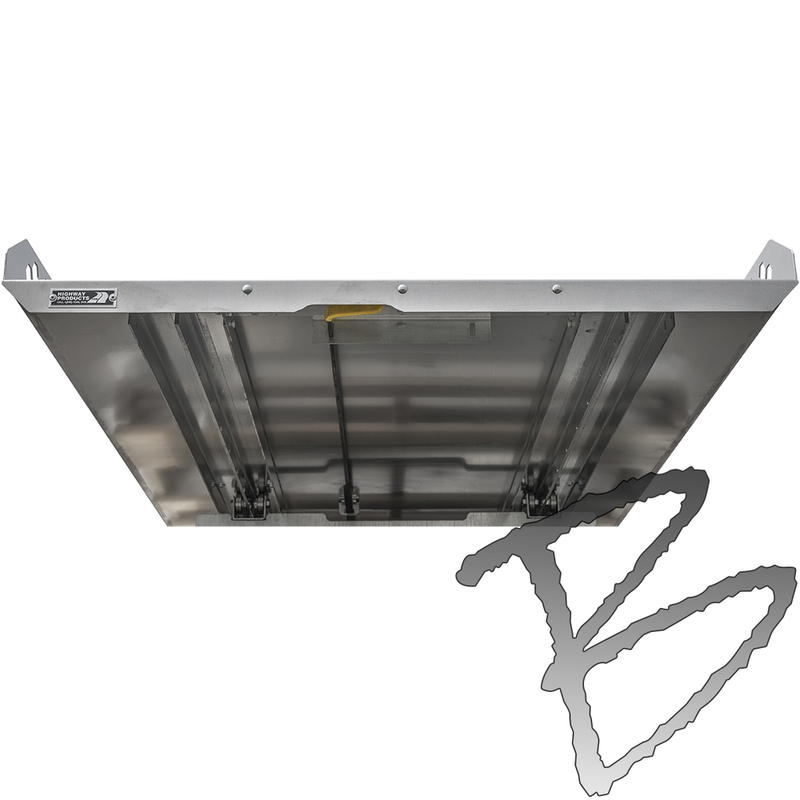 It also includes all locking mechanisms, hinges, gas shocks, weatherstripping and any other materials we use. Military Grade Aluminum: Highway Products uses nothing but the best materials. HPI's products are hand crafted out of Military Grade aluminum. Why take it that far? The days of using nothing but the best ingredients are all but gone in this world. They refuse to sink to that level. That’s the HPI™ difference. Hand-Made in the USA: Hand crafted from beginning to end right here in the USA. Every square inch of HPI's products are touched by human hands, every step of the way.